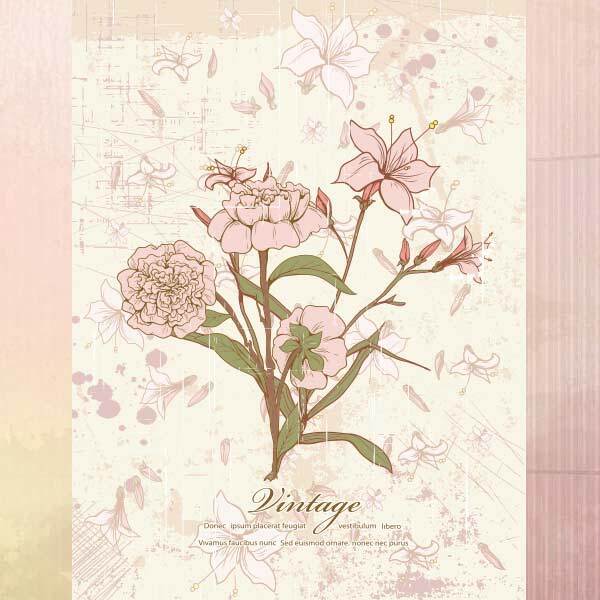 I love the muted tones and drawing style of this vintage floral illustration from pixel77.com. The floral background also has nice decorative flower elements. Lots of pinks and peach colors – retro and classic. The vector download has some distressed/grunge elements for a somewhat shabby chic feel to the whole illustration. The download comes in EPS and PDF formats.